Mr. Alvarez is the Managing Director of Alvarez Company, P.A., CPA Firm established to provide public accounting, tax and consulting services to businesses and individuals. Mr. Alvarez founded his own CPA firm in 1975 and developed it through mergers, acquisitions and referrals. At one point the firm had branches in four Tampa Bay area locations with over 30 employees. The firm was ranked on various occasions as one of the Top 10 largest CPA Firms based in the Tampa Bay area by Tampa Bay Business magazine. Mr. Alvarez has worked with many businesses and entrepreneurs, consulting with them on business growth, cash management, capitalization, operations, financial, tax, and management advice. He also evaluated and consulted related to mergers, sales and acquisitions, as well as estate and gift tax considerations. He has served as an expert witness in determining company market values. In addition to working with his clients, Mr. Alvarez served as Managing Director of his firm and was involved in running a growing business. His duties included obtaining capital and financing, growing the firm, human resources, setting procedures, acquiring real estate properties, acquiring and merging with other firms, marketing and customer service. He met the same challenges as his entrepreneurial clients. He originally sold his practice in 1996, but continued the Company as a consulting business. The current entity was incorporated in June 1, 1990 and started practicing public accounting again in 2005. On December 1, 1975, started a CPA practice as an individual practitioner which was the predecessor of the firm in the current form. The firm went through mergers and acquisitions until it established its current entity on June 1, 1990. Over the years Mr. Alvarez also served in executive positions such as President, Executive VP, Chief Operating and Chief Financial Officer and as a Board Member of various entrepreneurial and public companies including a Company grossing over 20 million dollars in revenues and employing over 100 employees with subsidiaries in various locations throughout the United States. Mr. Alvarez was the key person in negotiating, completing and assimilating various acquisitions including the reverse merger of a public company that had been named to the “INC” magazine’s list of 500 fastest growing privately held U.S. companies two years in a row. He was instrumental in the sale of the major assets to a publicly traded company. He was involved in various Companies in the Distribution, Communications, Publishing, Training, Manufacturing and Real Estate fields. He was also involved in SEC filings. While growing his CPA practice in the early years, he also served as an assistant college Accounting Professor for six years, teaching Federal Taxes, Cost, Managerial and Principles of Accounting. 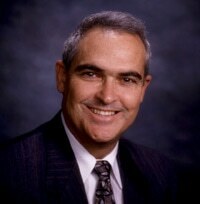 Member of the American Institute of CPA’s (AICPA) and was a member of its Consulting and Financial Planning Divisions. He has received the Chartered Global Management Accountant designation from the American Institute of CPAs and the Chartered Institute of Management Accountants – See more here. Member of the Florida Institute of CPA’s (FICPA) and was the Membership Development Chairman of its Sandspur Chapter, which had the largest percentage growth in the state the year of his Chairmanship. Served as an AICPA Accounting and Auditing Peer Reviewer of other CPA firms’ quality control systems. Former member of the Institute of Business Appraisers and the Tampa Bay Estate Planning Council. Served on many FICPA committees including outstanding committee winners. Founded the Hillsborough County Management of an Accounting Practice Roundtable, which helped CPA firms improve their own management. He has been an instructor and discussion leader for CPA’s and accountants’ continuing education courses on subjects such as Estate Planning, Income Taxes and Financial Statement Presentations. Spoke on “Mergers and Acquisitions of CPA Firms” at the Practitioners Conference and made presentations at many other conferences and seminars. As an expert, he has been interviewed for various articles, magazines and professional journals. Guest speaker for many organizations as well as appearing on various television and radio programs. Mr. Alvarez has been very involved in his community and with youth groups. Recognized and is on the roster of various publications, including “Who’s Who in the World”, “Who’s Who in America”, “Who’s Who in American Accounting” and “Who’s Who in Finance and Industry” as well as others. Mr. Alvarez was also recognized as an “Outstanding Young Man of America”. Awarded the Brandon Jaycees’ “Spectrum Award” for community beautification. Nominated for Brandon’s “Business Person of the Year” award. Lifetime Fellow of the Highlander Club. Mr. Alvarez has been married to his wife Janet since March 1970, and they live in Apollo Beach, Florida. They have three children: Steven, a director with Alvarez Company P.A. C.P.A. Firm; Kevin, founder and President of Blue Lynx Marketing, Inc. which specializes in digital marketing for small business, and Ryan, a middle-school teacher and soccer coach.